This year something big is happening. My friend Matthew Hussey, the star of NBC’s new show Ready For Love is quickly becoming famous in America. If you haven’t heard of him yet, you soon will. He created a system to get women a date with the guy they want within 30 days, and then keep him! It gives you the behind the scenes secrets to how men think, and how to have your ideal guy chasing you for a relationship. It’s a fool-proof guide for transforming the state of your love life. The great news for us is that he’s put his famous advice in his brand new book ‘Get The Guy’, available on Amazon now. As a present for my followers, I have a free chapter from his book for you to read. This free chapter is a genuine MUST read. There’s no catch, just enjoy this chapter from the book. If you want the rest, feel free to grab a copy of your own! Because his quiver is overflowing with arrows that he hasn’t been able to deliver. 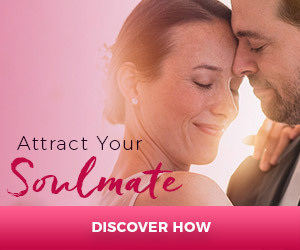 You see, many of you have carefully followed the steps in The Soulmate Secret, and Cupid is ready to deliver your soulmate to you……..but you are making it impossible for him. “About ten months ago Sheryl wrote out her soulmate wish-list, created a beautiful wish-list release ceremony for herself on the night of a new moon, and then she cleared out the clutter in her heart and her home and made lot of space for her soon-to-come beloved. Sheryl also made time to do a lovely daily feelingization where she reconnected with deep feelings of love, appreciation and gratitude. She practiced “living as if” and “savoring the waiting” and she even did some online dating. I was so impressed with her dedication that I decided to help her. So….I went out and found a man that I am 100% certain is the “one” for her…his name is Jake. He’s amazing….everything she is asking for! First, I arranged for them to meet in the park. Sheryl likes to speed walk several mornings each week in the same park where Jake likes to run. One morning as they were about to pass each other, Jake slowed down to give Sheryl a big welcoming smile and say hello….only Sheryl didn’t see or hear him because she was so busy talking on her cell phone. A few days later I tried again. Same result. Who is she talking to so early in the morning??? I noticed that after her run, Sheryl went to a local organic coffee cafe just outside the park for her decaf soy latte with extra foam. Hmmm, I thought. Tom loves coffee, lets give him an intense craving and send him over there as well. As I listened to Cupid’s massive frustration, I just knew I had to share this story with you. Your soulmate is out there. They want you as much as you want them. They are not going to randomly come knocking on your door. You are going to meet them outside in the real world, and you can’t do that if you are focused on talking, texting, emailing or playing a game on your smart-phone. Please… you have to pay attention! P.S. What if you could “find love” simply by helping others find the love of their lives? There’s an interesting dynamic in life where you can get more of what you want by helping others get what they want. For example: if you wanted to lose weight, imagine how much easier and motivated you would be if you were coaching and inspiring others to lose weight. You would naturally become more fit yourself and in fact, you would become an expert at losing weight. Well, what if you wanted to find the love of your life? Imagine how much easier it would be if you were coaching others on how to find the love of their lives. So, how do you learn how to coach and influence others? 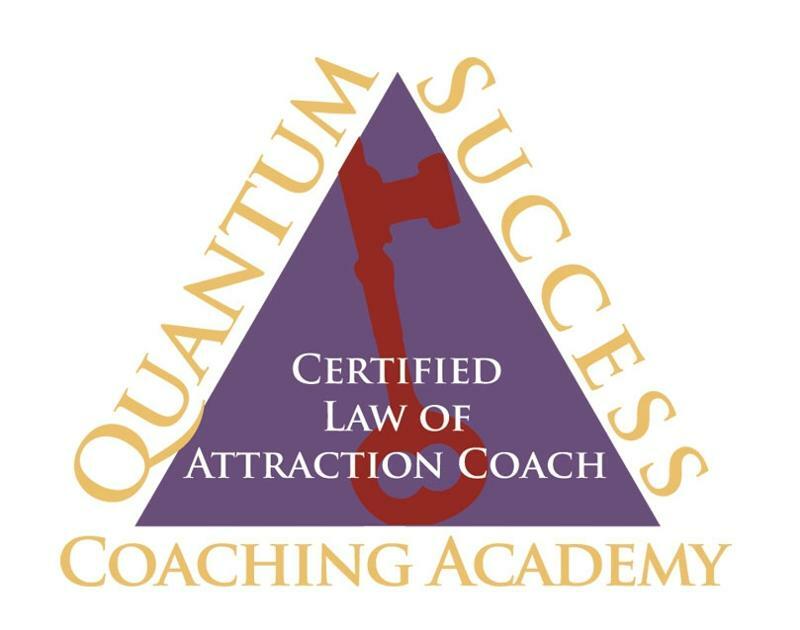 Well, I’ve got 5 free videos from my friend Christy Whitman (who is happily married to the soulmate she manifested with the Law of Attraction) who will show you exactly how to do this. Go here to watch all of them for free. On Saturday we honored my sister Debbie with a Celebration of Life event for 400 of her family, friends, coaches and community. It was beautiful, moving tribute to her life and legacy. I had the honor of emceeing the event and sharing stories…and we had several speakers including Brian, my brother Mike, a few friends and Marianne Williamson and Deepak Chopra. Plus, per her request, we had the rooftop raising Eddie Baltrip Fulfillment Gospel Choir. One of Debbie’s favorite songs is from the Broadway show, RENT, and the Choir sang it yesterday. As I listened to the lyrics, I realized I wanted to share them with all of you because they really speak to what is most important in life. Measure measure your life in love. There are a lot of takers who believe they are primarily givers….they want to see themselves as these great, compassionate folks but they operate out of unconscious needs and self interest hoping we won’t see what they are really up to. Generally their requests come with a super sweet tone of voice and they preface things by telling you how much they love you, care for you and “oh by the way can you do X,Y, Z for me?” And, some part of you ends of feeling slimed but you don’t know why. And then, there are the emotional vampires. These folks are predatory, parasitic, and bad for your health. They want to feed off your energy by demanding your attention. They are quite often Drama Kings and Drama Queens and while it can be interesting or amusing to listen to their tales of woe (and maybe even have you feeling like your life is pretty good compared to theirs) this is a one-sided relationship and there are no goodies in it for you. I am bringing this to your attention because it is now officially Spring and it’s a great time of year to clear out the clutter in your home and in your life. Spend a little time looking to see if you are inadvertently feeding any emotional vampires and if you are, are you willing to banish them from your life??? And then, look and see who the Givers are in your life, and is there any thing special you would like to do for them to show your love, gratitude and appreciation? And finally, look and see how you are showing up in your world? Where and with whom are you a Giver? Maybe even an emotional vampire? For me, I am committing to be more like Brian….I want to stretch myself and find new ways to be more of a Giver and less of a Taker. And for sure there are a few emotional vampires I plan to banish instantly!